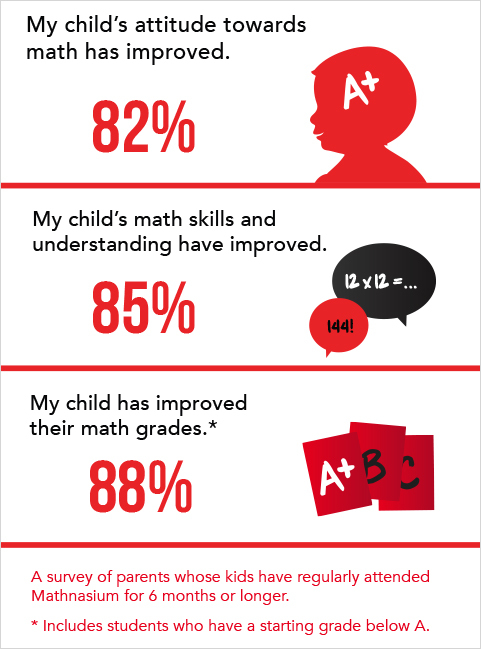 "I wasn't looking forward to doing math over the summer but Mathnasium made it fun. It helped me review three years of math in a comfortable environment and gave me the confidence I needed for the Math SAT II subject test." "Sofie has been doing very well with math--both in school and in life outside of it. Her last week's test, she scored 100%! And she is becoming more and more confident (and quick!) with her math work. On Monday, we had a friendly competition with trying to beat one another to the answers, and she was giving me a run for my money! She enjoyed every second of it. That was a first for us, to actually have fun doing math work together." My son has struggled with math for years and was very behind. He started going to Mathnasium in Point Loma and recently received a 100% on a math test. He really loves going to Mathnasium. He likes it so much he begs to go, even when he isn't feeling well. The staff there are all awesome. I want to publicly applaud Mathnasium, thank you Mr. Glenn for being a shining star in a dark sky. Much gratitude, Jennifer."